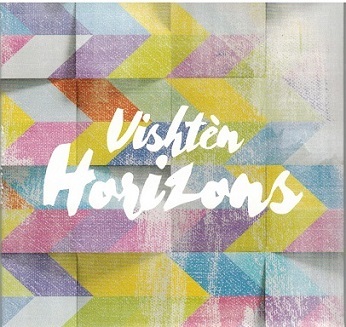 Vishten, one of the most respected bands in the Maritimes have just released their MusicPEI 2018 nominated CD entitled, HORIZONS. It has been nominated for: Entertainer, Francophone Artists,Group Recording (Horizons) and Fly PEI Touring Artists. The group is made up of, Emmanuelle and Pastelle from the PEI Evangeline Area and Pascal Miousse from The Magdalen Islands. They have been raised in home in the traditional music percussion dance and kitchen parties, which was a part of everyday life. 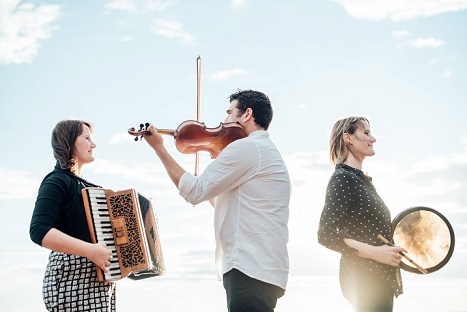 They pay homage to their traditions and to the historic and strong musical connection between PEI and Magdalen Islands. The CD contains lots of style, tunes to chanson, folk to funk, with great harmonies andinstrumentally, this is a class act reflecting Quebec music plus the soulful melodies of the accordion tradition. They also take inspiration from Scottish and Irish traditions. The group tour extensively in North America, Europe and Australia. They have won many PEI and East Coast Awards in the past, and with this new CD there will be no exception says Atlantic Seabreeze and gives very high ratings, in fact a five star rating out of 5 stars. For more information regarding this CD and the other past 5 released CD's, refer to their website, address posted above.